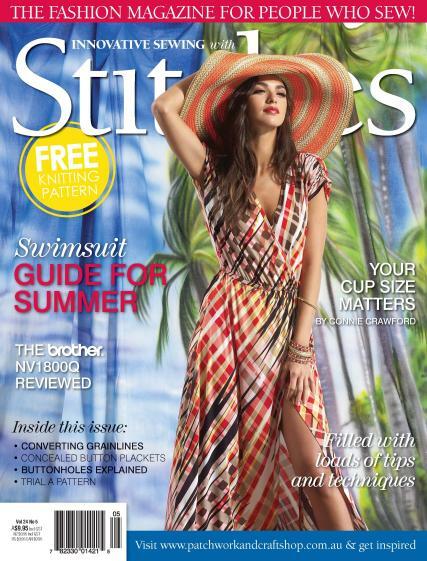 Australia´s leading dressmaking magazine presents technical instructions and step-by-step photographs for fabulous garments.Buy a single copy or subscription to Australian Sitches magazine. Features all the latest patterns and fabrics, plus trials and reviews, real makeovers, wardrobe-planning advice and the latest trends from across the USA and Europe. Full of tips and techniques to encourage readers to be creative, this magazine is perfect for the discerning dressmaker who wants to learn more about their craft.